Calgary provides a stark demonstration of how a Canadian jurisdiction can, in spite of corporate income-tax cuts introduced under the Trump administration, still provide a competitive environment from a business-tax perspective. That was the conclusion reached by a CD Howe Institute study, which worked out the combined burden including property taxes, land-transfer taxes, retail sales taxes, and corporate-income taxes borne by businesses each year. The different costs were boiled down into a single number for an array of major US and Canadian cities, which were compared based on their overall competitiveness. 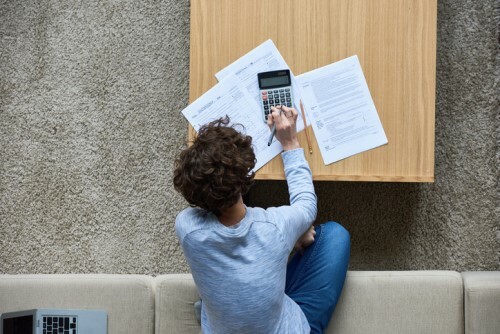 That number, the marginal effective tax rate (METR), represents the proportion of a business’s pre-tax return that should go to tax services so that investors are left with an acceptable after-tax return. Based on the think tank’s calculations, Calgary had a marginal effective tax rate of 38.2%, making it the third-lowest behind 38.1% in Saskatoon and 34.6% in St. John’s. At the opposite end of the spectrum, Winnipeg had the highest METR at 47.6%; Halifax had the second-steepest at 45.9% , followed by Montreal at 45.4%. Adam Found, one of the report’s co-author’s, told CBC News that while federal corporate taxes in the US have lifted a great weight off the shoulders of businesses there, but various state-level and municipal-level taxes still get in the way. “Once all those taxes are included, then what we see is the Canadian cities emerge with a notable competitive advantage," he said. In Calgary, the municipal-level sales taxes and land-transfer taxes levied by major US cities on businesses simply don’t exist. “And so that competitive edge that Calgary has over the U.S. cities, in fact, grows once we include property taxes and other local taxes," Found said. Deana Haley, who is with Calgary Economic Development, said that the report’s findings align with her organization’s internal research comparing the city with other jurisdictions. “It's a verification that Calgary is very competitive in North America,” she said.